The first round of negotiation meetings of North American Free Trade Agreement (NAFTA) 2.0 were held in Washington D.C. on August 16-20, 2017. 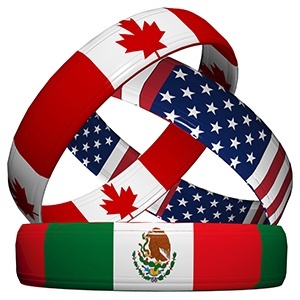 The negotiating parties convened to modernize the NAFTA agreement (implemented in 1994) at the request of the Trump Administration. Trump has repeatedly threatened to withdraw from the Agreement, unless new terms (favorable to the U.S.) are struck.